Qtab Q1100 is released with a great specs and good features. Its display screen is 10.1 inches for better vision. The internal memory is 8GB and 1GB of RAM. The camera of Qtab Q1100 is 5 Mega pixel and front camera is 5 Megapixel also. 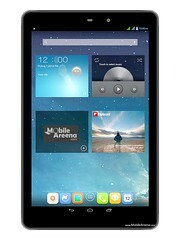 The Android version of Qtab Q1100 is 4.2(jelly Bean) and 1.3GHz Quad Core Processor. The battery of Qtab Q1100 is 7000mAh. The connectivity is EDGE, Bluetooth, GPRS, and WLAN. So user can connect everywhere. How to Flash Qtab Q1100 With Spflash tool? The requirements of Qtab Q1100 is battery backup of 40% to 50%. Download and install Qtab Q1100 Usb Drivers.